Please donate if you enjoy our work. All donations will directly support our continued ability to contribute to society through our work. Paypal is a recognized standard for secure online transactions. Ripplepay is a system of socially-derived credit. If you find this interesting check out the Ripplepay site. My name is Ben Harack, I recently completed my masters degree in condensed matter physics specializing in quantum dots. I believe in open knowledge and freedom of expression. Musings inspired by Ashoori's article "Electrons in Artificial Atoms"
My first academic paper was officially published as of the beginning of this year. 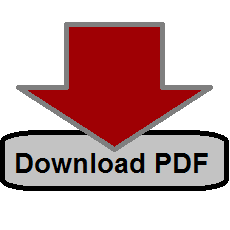 The full-text paper is available as html, and as a pdf by ISRN. A preprint (with chapter headings) is available on arxiv (full-text pdf). My poor netbook (Samsung NF210 , which you might remember from my issue with the Grub 2 menu) has been dying under the weight of Matlab, LabView, and all the other normal programs that I run on a constant basis such as Acrobat Reader, TeXnicCenter, and Chrome. I have had to pull my old laptop (Acer Aspire 5670) out of retirement. After a couple hours of setup, I had two laptops set up on my desk. This is when I found out that I am not an embarrassingly parallel procedure. By effectively doubling the number of processors that I was running on, my productivity went up about 50%. I installed Dropbox on both laptops and told them to sync my folder full of work files. A couple minutes later everything was mirrored on both computers as well as on the online system. Since I have wireless Internet on both laptops, they can both connect instantaneously the the online Dropbox repository and sync files with one another. The total lag time from when I save a file on one to when it shows up on the other is on the order of mere seconds. This allows me to work on highly technical material on one computer, and be completely confident that all of my progress is saved elsewhere. Additionally, it gives me great mobility and freedom of mind. I admit, I should probably be a poster child for Dropbox at this point. Care about your files? Not too worried about putting them in the cloud? Try Dropbox. It impressed me. Here are some of the hilarious, interesting, or scary tidbits that I wrote down when I took my WHMIS training in Feb 2011. Many of the pictures the presenter showed us were actually taken during lab inspections at McGill. The first of these was a picture of a compressed gas cylinder with a backpack hanging from part of the regulator assembly on top of the cylinder. One litre of liquid nitrogen can displace 700 litres of air. There is a risk of asphyxiation if you are in a small room. The flash point of a material is the temperature at which it releases enough vapour that it can be ignited. I have definitely heard the term flash point used in a very different sense (in common usage), such as referring to the temperature at which a material will suddenly explode or burst into flame. There was a fire/explosion at the Montreal Neurological Institute because someone left some sort of chemical on a hot plate and left the lab. The teacher suggests a rule: If you are working with volatile things, unplug all the hotplates nearby. Domestic refrigerators and freezers can sometimes create small internal sparks during their operation. This means that if you store volatile substances in these places, you can end up with an explosion. Buy things that are certified for storing volatile products (they won’t spark internally, among other things). The teacher talks about how dangers peroxide crystals can be. They can form in many different ways, and are susceptible to heat, friction, and shock. Any of these things might make them suddenly explode. This is a good reason to keep an eye on expiry dates on chemicals that can form peroxide crystals. The recommendation is that you don’t keep chemicals around for more than a year. Never store oxidizing agents together with flammable materials. Repeated exposure to chemicals can cause sensitization. This means that you become more sensitive to exposure as time goes on. This reminds me of what some friends of mine told me when they were talking about their experience with sick building syndrome. For them, even a whiff of a cleaning chemical used on a hospital floor might be enough to make them physically ill.
Pour acid into water, not water into acid. Never store organic acids with oxidizing agents. Hydrofluoric acid needs special consideration. There is a special cream that you must always keep with the hydrofluoric acid bottle. Why? Hydrofluoric acid will attack calcium in the blood. Within a very short amount of time there is a very high risk of cardiac arrest. Must apply cream to exposed area. You should then have enough time to go to the hospital. Cream is actually kept attached to bottle of hydrofluoric acid in some labs due to this serious health concern. We were told a very scary story about the late Professor Karen Wetterhahn at Dartmouth college. She was a highly-regarded expert in the area of heavy metal poisoning and she was abiding by all prescribed safety procedures in the lab when she was exposed. During a lab procedure, she dropped some dimethylmercury on her hand (which was covered in a glove). She died less than a year after exposure due to the massive dose of mercury that she had received, but was unaware of for the first six months. Her accident set off a study that investigated whether the safety procedures were effective. This is when it was discovered that the latex gloves are ineffective at protecting from dimethylmercury. It turns out that dimethylmercury penetrates through latex gloves in less than 15 seconds. If you are exposed to a chemical, bring the MSDS with you when you get medical help. Read the rest of the post at Live to Learn. Today was the first day of my Physics Masters at McGill. Yoga in the morning was followed with breakfast and then the 20 minute walk to campus. I jumped through some bureaucratic hoops to become setup as a grad student. I now have a desk in an office on the fourth floor! The room even has a window! I feel like I have moved up a lot in the world since my days of working in the cavernous underbelly of the Lab Building at the University of Regina. My supervisors are Michael Hilke of McGill and Guy Austing of the National Research Council. Physics 659 - Experimental Condensed Matter - Taught cooperatively, but overseen by Dominic Ryan. Physics 634 - Seminar in Advanced Materials - Taught by my supervisor Michael Hilke. Electrical Engineering 535 - Nanoelectronic Devices - Taught by Thomas Szkopek. Today I had a session of all three of these classes! Luckily since it is the first day the lectures were not overly intense. Even so, I am feeling a bit shell-shocked. In the next several hours, and perhaps stretching into tomorrow, I will be attempting to compile my learnings from today into a comprehensible format. Stay tuned. Excited to spend several weeks back in Saskatchewan. Going to see a lot of family and friends. Hope everyone is excited for the holidays.